The First Alert CO605 Plug-In Carbon Monoxide Alarm with Battery Backup utilizes an electrochemical carbon monoxide sensor to accurately and effectively warn you of elevated CO levels. The plug-in design and included battery backup mean your space can be continuously monitored for dangerous carbon monoxide gas, even during power outages. Simply plug the alarm into a 120-volt outlet, and the personal carbon monoxide detector is ready to go. When CO levels rise above a safe threshold, a loud 85-decibel alarm alerts you to the threat. Designed for simple use, the CO detector has just one button that silences or tests the unit, as well as an end-of-life timer that lets you know when it is time to replace the device. 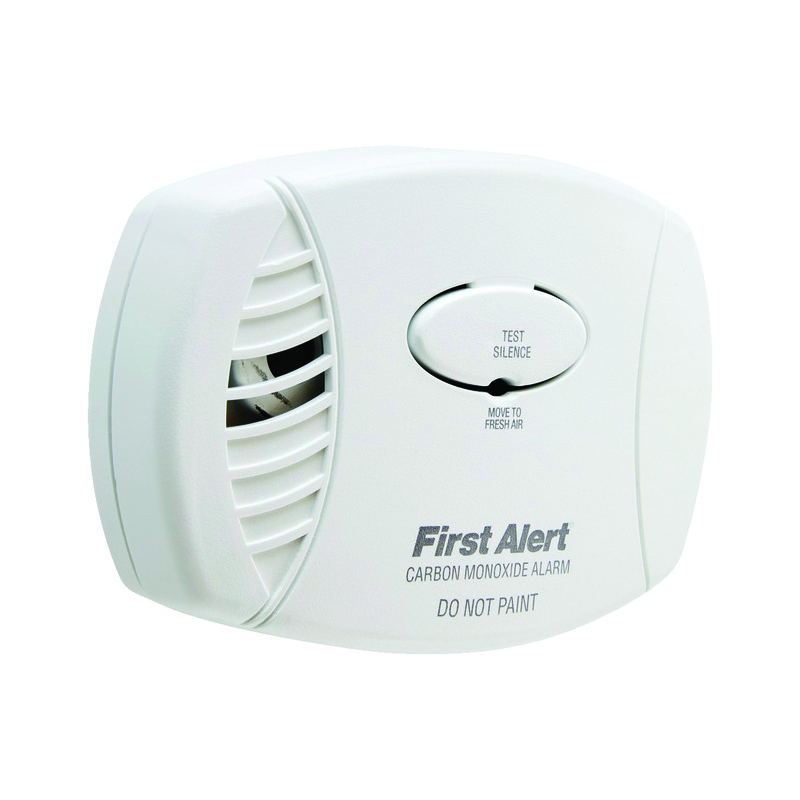 CO detector alerts you to carbon monoxide. Battery backup allows for continuous monitoring during power outages. Loud 85-decibel alarm sounds when CO levels are elevated. CO detector plugs into any standard electrical socket. Single test/silence button for simple operation.